How can you secure a book contract from a publisher? It’s not about having a great book idea. It’s not about writing a literary masterpiece. It’s not even about knowing the right people. The real secret to securing a book contract is knowing how to write a powerful, compelling book proposal that leaves agents begging to represent you—and publishers eager to sign you. My name is Michael Hyatt. I am the former Chairman and CEO of Thomas Nelson Publishers. I also served as a literary agent for six years, representing numerous bestselling authors. I am also a New York Times bestselling author myself with seven books to my credit, including my most recent, Platform: Get Noticed in a Noisy World. I know what it takes to get a book contract. I know what it’s like to have a book published by a traditional publisher. I know what other doors open when that happens, including the opportunity to impact tens of thousands of people—and be rewarded handsomely for it. It’s really not that difficult—if you know the secrets I reveal in my two ebooks. I show you what it takes to secure a book publishing contract, whether you are writing a non-fiction book or a novel. Write a killer query letter that gets the agent or editor to actually read the proposal. Get the publisher’s attention in the first paragraph. Answer the three questions every publisher asks next. Create a unique selling proposition that explains what the reader will gain by reading the book and how the book will deliver it. Distinguish between benefits and features—and why it is essential that you do so. Identify your target market in such a way that the publisher can visualize the exact opportunity your proposal represents. Understand the difference between demographics and psychographics and why both are important. Identify specific affinity groups that will help you—and the ultimate publisher—maximize the sales potential of your book. Assess your competition and explain how your book will be different. Explain why you are qualified to write this book—even if you are a first-time author. Demonstrate what you are prepared to do to help market your book. 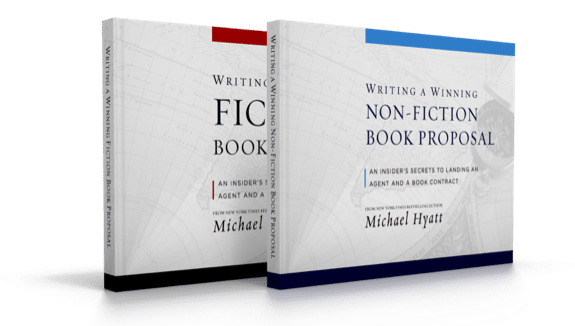 In addition, I explain how to write a chapter-by-chapter synopsis of your book and the six elements that should be part of any sample chapter you include. I wrote the first version of this ebook several years ago. It has become the de facto standard in the publishing industry (check the endorsements from literary agents in the sidebar on the right). It has enabled hundred of authors—just like you—to secure a book publishing contract. Understand the four elements your fiction proposal must include. Write a well-crafted query letter that leaves the agent or editor begging for more. Compose a compelling “hook” that conveys the premise of your novel in nine sentences or less. Identify your target genre in such a way that the publisher can visualize the precise market for your novel. Avoid the three items you should NEVER include in a fiction book proposal. Convey the “story arc” of your novel in one page and avoid the mistakes typically made by amateurs. Include just enough of your novel to prove that you can write but not so much as to make reading it too daunting. If you don’t find these ebooks helpful and worth every penny you pay, just send me a quick email, and I will quickly and courteously refund your money. No questions asked. So far, I have sold thousands of these ebooks. Yet I have only had a handful of refund requests. Nonetheless, the offer still stands. Why? Because I don’t want you to miss this opportunity to secure a publishing contract and experience the life-changing impact of becoming a published author! I am a published author. I know what it’s like to get rejected—and accepted—by agents and publishers. I am a former literary agent. I have sold hundreds of projects to traditional publishers. I know what it takes to get a publisher’s attention and get five, six, and even seven-figure offers for my clients. I am a former publisher. I know what it’s like to receive thousands of proposals a month. I also know why a handful of these grabbed my attention and caused me to reach for my checkbook. When it comes to getting a book contract, you need someone with experience to guide you—not ivory tower advice or theory. You need a slam-dunk, sure-fire way to get your proposal noticed. I have been a ‘virtual’ student of Michael Hyatt’s since first discovering his blog a little over a year ago. His posts on leadership, productivity, publishing and social media are part of my daily ‘learn something new’ routine. Although I am already a published non-fiction author, I ordered his ebook, Writing a Non-Fiction Proposal as soon as it was offered. I was not surprised to discover it to be one of the most well-written and easiest to follow writing tools I have ever used. I followed his step-by-step guide to create a proposal for my latest work and received a publishing offer out of it. What more can I say? I am using it again right now for my next book proposal and expecting the same result! However, I decided to offer these e-books for just $19.97 each. I may raise the price later, but for right now, I would rather make these ebooks available to as many people as possible at an affordable price. In addition, if you are considering both fiction and non-fiction, you can buy both ebooks for just $29.94—a $10.00 savings! So what are you waiting for? The dream of getting a book contract is within reach. Just click on the buy button below and let’s get started! Remember: each book comes with my money-back guarantee. Please note: these e-books are available only as a PDF download. I do not offer physical, printed copies. Nor do I offer these in Kindle or ePub format. 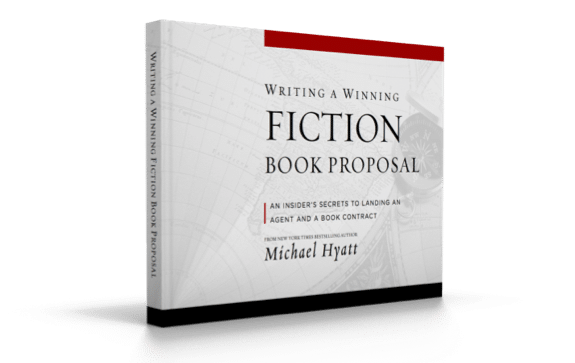 Buy both Writing a Winning Book Proposal e-books for just $29.94 and save $10.00! If you need customer support, please email [email protected]. We would be happy to assist you. You take ZERO risk! If you don’t find these eBooks helpful and worth every penny you pay, I will promptly refund your money. No questions asked. So far, I have sold thousands. I have only had six refund requests. Nonetheless, the offer still stands. Natasha Kern Literary Agency, Inc.